Prior to purchase of a farm equipment maintenance facility, a due diligence investigation was performed to identify potential environmental liability associated with the property. During the investigation widespread petroleum, arsenic and to a lesser extent pesticide compounds were discovered in the soil and/or groundwater. Therefore an Interim Source Removal Work Plan was submitted to the Florida Department of Environmental Protection (FDEP) for approval. At this juncture AM Environmental was retained to conduct Source Removal and preparation of a Site Assessment Report. AM performed an extensive Source Removal encompassing removal of an estimated 2600 cubic yards of petroleum impacted soil. Soils were loaded into dump trucks and transported one mile away to be remediated by land farming on an asphalt paved roadway. Land farming of soils resulted in significant savings for the client by alleviating disposal and transportation fees. 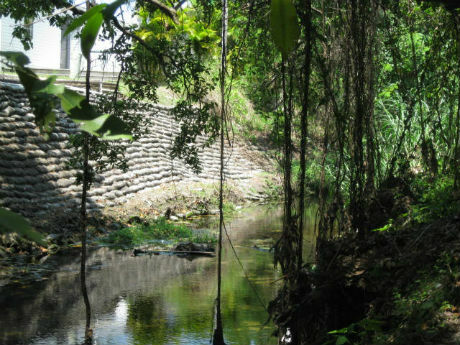 The excavated area measuring 250 feet by 80 feet, was removed to one foot below the water table and left open to remediate groundwater by natural processes, through aeration and volatilization. In addition, side walls of the excavation were pressure washed on a periodic basis to leach out contaminates binding to exposed layers of muck. Subsequent to backfilling with clean fill, results from monitoring wells installed around the perimeter of the excavation currently comply with State of Florida Groundwater Cleanup Target Levels. Consequently, the Site Assessment Report was approved by the FDEP with recommendations to develop a limited scope remedial action plan (LSRAP) to reduce the benzene concentration of an isolated plume where buried debris was excavated at another location of the property. The LSRAP was accomplished by excavating a remedial trench beneath a covered area of the maintenance building. Petroleum contaminated soil and buried debris including; oil containers, tractor parts and treated wood were removed from the trench. Remediation of groundwater in the vicinity of the trench was conducted with open pit air-sparging and simultaneous treatment of exposed water with a bioaugmentation microbial product. This site is currently near the final stages of the Post Active Remediation Monitoring phase with groundwater results Non-Detect for BTEX compounds in all six test wells monitored. In summary, by employing alternative methods such as; letting groundwater naturally attenuate, pressure washing side walls of excavation, land farming petroleum contaminated soil in lieu of disposal/tramsportation and performing open pit air-sparging with microbial treatment verses traditonal insitu methods, AM easily saved the client tens of thousands of dollars while still effectively remediating the site. After review of my client's Lease Agreement/Hazardous Waste Indemnity, AM recommended that a limited due diligence inspection and soil testing be performed to document if the warehouse property was impacted by hazardous materials prior to occupancy. Interviews with my client (the prospective tenant) and photographs confirmed that a drum believed to contain waste solvent was stored on the property. The drum apparently spilled onto the soil and ran into a nearby storm drain. During the due diligence inspection AM personnel observed soil staining, distressed vegetation and stained pavement leading to the drain. In addition several oil stains compromised the integrity of the asphalt pavement and likely penetrated the underlying soil. Consequently, a soil sample collected adjacent to the drum staging area was analyzed at a NELAC accredited laboratory for solvent compounds. The analytical results for the soil sample identified concentrations of nine regulated compounds that exceeded applicable soil cleanup target levels pursuant to Chapter 62-777 of the Florida Administrative Code (FAC). The compounds detected were consistent with constituents found in solvents and verified pre-existing contamination which was instrumental in relieving my client from liability for the cleanup. 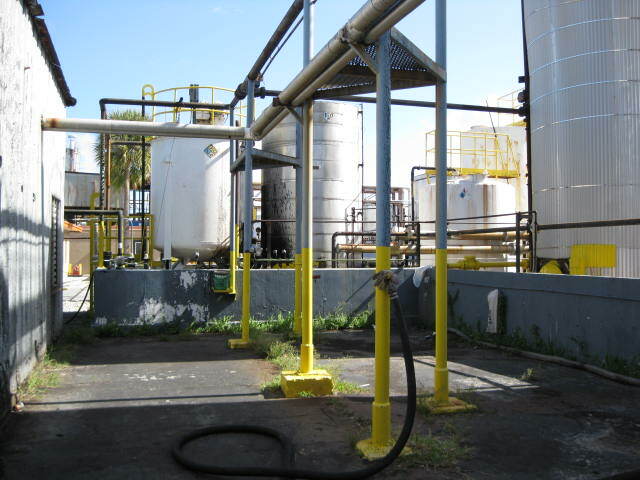 AM Environmental was authorized to perform regulatory investigation for an industrial facility that manufactures various roof coating and sealing products by mixing asphalt, fibers, gel structure and limestone. 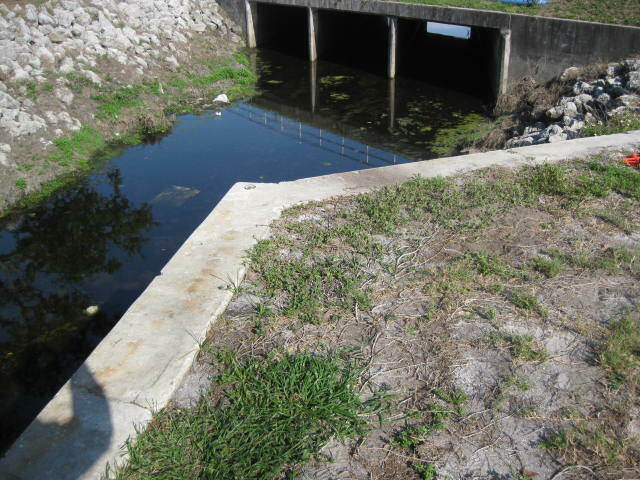 The purpose of the investigation was two-fold, firstly to determine if an air permit is required by the Florida Department of Environmental Protection (DEP) and Broward County and secondly if an amendment to the DEP and Broward County storage tank license is warranted for changing the contents of one of the registered aboveground storage tanks (ASTs). During the site inspection the Plant Manager indicated that three mixing tanks and a hopper previously used for dispensing asbestos were no longer in use. The Broward County Air Section was notified that asbestos containing materials were no longer used in the manufacture process. As such, a modification was requested to change the status of their permit from Title V to a General Air Permit. However, by eliminating asbestos from the manufacture process and ceasing the source of a pollutant-emitting activity, criteria was met for a Generic Facility Exemption in accordance with Air General Permits, Rule 62-210.310 F.A.C. As a result of the regulatory investigation it was determined that an air permit was no longer required for the facility. In addition to the air permit our regulatory investigation disclosed exemptions that ultimately saved our client from amending the Storage Tank license and paying applicable registration fees. AM Environmental, LLC (AM) was retained. to develop and implement a Soil Sampling Plan for modifying the DEP permit portion of the U.S. Army Corps of Engineers Environmental Resource Permit. 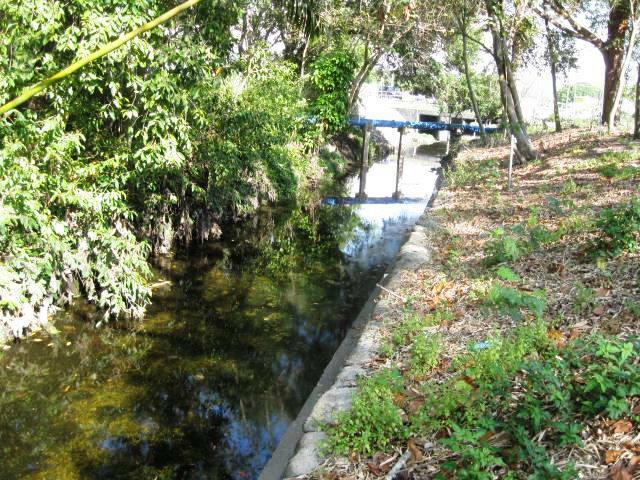 The purpose of the modification was to verify soil quality of proposed upland excavation from widening Ware's Creek in Bradenton, Florida. Analytical results from additional soil sampling was utilized to better characterize the volume of soil requiring disposal and which landfill would be suitable to accept excavated soil and sediments.